Andrew says: "This machine was released in 1986 and its claim to fame is that it is the only IBM PC clone which I know of that is actually slower than the original!" "I used to work for a Data General house and saved it from the scrap bin. 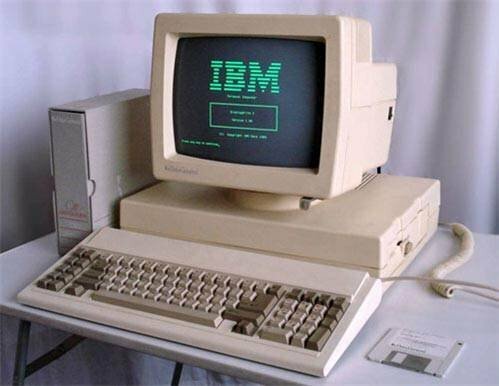 The secretaries used to have these and run CEOwrite on them but I couldn't find a copy of that, so the photo shows it loading IBM's DisplayWrite 2 from the same era." "My abiding memory of CEOwrite was that it used to corrupt the FAT when saving documents and the official fix was to include a call to chkdsk in autoexec.bat!" Ah, the good old days, eh? This was a great laptop, and came with a hand held joystick style mouse that worked really well. Another fun fact about the Dasher/One: it was a "mostly" PC-compatible. The serial port was the same as the DG/One: incompatible with the IBM-PC. Had there been a network connection, that might not have mattered, but when your only means of communications is a serial port, and no PC software can talk to it, that's kind of a sales killer. I had two of these, acquired while I worked at DG Westboro. They came from the hallways, where unwanted equipment was discarded for pickup. My kids used them as their first PCs (after I repaired them). At least *they* appreciated them.